When men climb mountains, they confront their own minds. There are psychological barriers to conquer as much as physical ones: fear, uncertainty, mental fatigue. But all those barriers, psychological and physical, are bigger in caving – and particularly in the caving described in this book. 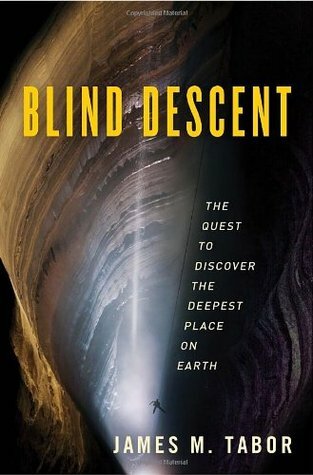 It’s about the quest to explore super-caves, the deepest and most dangerous places on earth. As a result, they’re also the most challenging. Climbing a mountain doesn’t cut you off from the sun, stars and sky or from easy communication with the rest of the world. Super-caving does and that isolation alone is difficult to endure as days underground stretch into weeks and months. It isn’t alone, of course: there are also wet, cold, dirt and constant danger down there. Sometimes deafening noise too, as underground rivers pour over waterfalls or churn through huge tunnels. But super-caving won’t make you famous: it isn’t as photogenic as mountaineering and the two great cavers discussed here, the Ukrainian Alexander Klimchouk and the American Bill Stone, aren’t household names. Perhaps they never wanted to be. Mountaineers move towards the sun, higher and higher into the light. Cavers move away from the sun, deeper and deeper into the dark. It would be interesting to compare the psychology of the two groups. Some people belong to both, of course, and Tabor points out that exploring a super-cave is like climbing Everest in reverse. Except that Everest doesn’t drown people. Super-caves do, because to explore them cavers often have to don scuba-gear and swim through flooded tunnels and highly dangerous sumps. In that setting, mistakes and accidents that mean little in open water often become deadly. Like motorcyclists and heroin-addicts, cave-divers will tend to know a lot of people who died young. And fear of dying can cause it: it’s easy to panic when the risks are so high and the pressures so great. Cave-diving is one of the biggest psychological challenges that a human being can face. Alexander Klimchouk and Bill Stone beat the odds, but only one of them could win the race Tabor describes here: reaching the lowest point on earth. Stone sought it in Mexico, Klimchouk in the Republic of Georgia. According to Tabor, Klimchouk won the race, but I’m not sure how anyone can be sure of that. The highest point on earth is easy to identify, but how can anyone be sure where the lowest point is? Geoscopes may eventually answer that question, but by the time we can peer deep into the earth using instruments, the depth-record set by Klimchouk’s expedition – 6,825 feet deep in Krubera Super-Cave – may have been far surpassed by a subterrene, or earth-invading equivalent of a submarine. If that happens, earth-explorers will face a new problem: not cold, but heat. Rocks are still solid at 6,825 feet and we still know very little about molten depths of the earth. That’s why earthquakes are still impossible to predict. Klimchouk and Stone haven’t made great advances in geology, but they wanted to be seen as scientist-explorers, not as explorer-adventurers. They found adventure all the same and Tabor points out that they stand in the tradition of men like Roald Amundsen, Edmund Hillary and Neil Armstrong. That tradition is coming to an end: up till now, technology has assisted minds and muscles. In future, it will re-shape them. Humans will turn into superhumans. And perhaps that will mean the end of exploration and adventure. Blind Descent may be a record of one of the last great triumphs of the old human race. If so, it’s an appropriate record: intelligent, well-written and vivid. There are some breathlessness and journalistic licence too, but Blind Descent is a good book about great feats. “As solid as the earth,” we say. That’s why even mild earthquakes are often frightening and always memorable. Suddenly you can’t rely on the earth any more: it’s not rock-steady, it’s dancing. And it might be about to dance you to death. Or there could be another lull. That is one of the interesting things about earthquakes: their unpredictability. The subtitle of this book is misleading, because there is no reliable science of prediction for earthquakes. Seismologists can say in great detail why and how they occur, but they can’t say where or when or what size. We are far better at predicting the behaviour of the sky above our heads than we are at predicting the behaviour of the earth beneath our feet. Meteorologists are refining and extending their forecasts further all the time. Astronomers have been accurately predicting eclipses and planetary orbits for thousands of years. Then a “moderate earthquake” hit Athens in 1999 and although the team claimed to have predicted it, they hadn’t said so in public. Apparently stung by the criticism that followed, Professor Varotsos issued a public prediction of a larger earthquake on its way in central Greece. But it never happened and the team were no longer taken seriously. Sonar, as you will know, is the acoustic equivalent of radar, and although less familiar is older by some millions of years, since bats use it very effectively to detect insects and obstacles at night. Professor Hancock intended to send high-powered supersonic pulses into the ground and to build up from the returning echoes an image of what lay beneath. The picture would be displayed on a cathode ray tube and the whole system would be exactly analogous to the type of radar used in aircraft to show the ground through cloud. Nearly seventy years on, we’re still waiting for a geoscope like that. Seismology is still a hobbled science and earthquakes are still mysterious and frightening things. As Sherlock Holmes says in “The Adventure of the Copper Beeches” (1892): “Data! data! Data! … I can’t make bricks without clay.” But seismologists have done a lot with the limited data they’ve got, as you’ll learn here. Writing clearly and colloquially, Masson traces the history of mankind’s attempts to understand earthquakes, describes their effects on history, discusses related phenomena like volcanoes and tsunamis, and explains why seismologists don’t use the “Richter scale”. 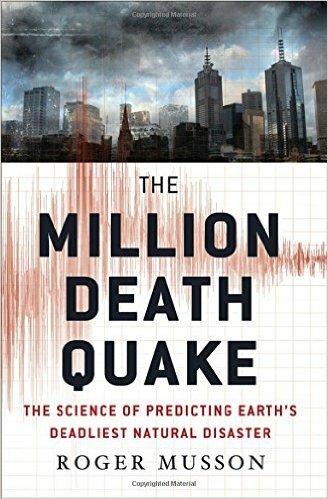 The Million Death Quake has a hyperbolic title and a misleading subtitle, but it’s one of the best popular science books I’ve come across. When a volcano wakes, look out. They’ve slain cities, devastated eco-systems and shaped landscapes. They’re also shaped cultures. Like a thunderstorm or earthquake, an erupting volcano raises a big question in the minds of human observers: What caused something so powerful and impressive? Our explanations began with myth and moved to science. And they moved a long time ago: the ancient philosopher Anaxagoras “proposed that volcanic eruptions were caused by great winds within the Earth, blowing through narrow passages” (pg. 5) and becoming hot by friction. Two-and-a-half millennia later, scientists are plotting “silica (SiO2) content” against “alkali content” as they classify “different volcanic rocks” (ch. 2, “How volcanoes erupt”, pg. 15). But Anaxogaras’ principles are still at work: seek the explanation in mindless mechanism, not in supernatural mind. Classification is another essential part of science. In vulcanology, the scientific study of volcanoes, magmas are classified and so are eruptions, from subdued to spectacular: Icelandic and Hawaiian are on the subdued side, Peléean, Plinian and Ultraplinian on the spectacular, with Strombolian and Vulcanian in between. Some eruptions are easy to understand and investigate. Some are difficult. Volcanoes can be as simple or complicated as their names. Compare Laki, on Iceland, with Eyjafjallajökull, also on Iceland. Lopes goes on to look at city-slayers like Mount Pelée and Vesuvius, but they can be less harmful to the environment. A spectacular eruption can be over quickly and release relatively little gas and ash into the atmosphere. And death-dealing is only half the story: volcanoes also give life, because they enrich the soil. They enrich experience too, not just with eruptions but with other phenomena associated with vulcanism: geysers, thermal springs, mudpools and so on. And that’s just the planet Earth. Lopes also discusses the rest of the solar system, from Mercury, Venus and Mars to the moons of gas giants like Jupiter and Saturn. The rocky planets have volcanoes more or less like those on earth, but the moons of the gas giants offer an apparent paradox: cryovolcanoes, or “cold volcanoes”, which erupt ice and water, not superheated lava. On Neptune’s moon Triton, whose surface is an “extremely cold” -235ºC, cryovulcanism may even involve frozen nitrogen. The hypothesis is that under certain conditions, it’s heated by sunlight, turns into a gas and “explodes” in the “near-vacuum of Triton’s environment” (ch. 11, “The exotic volcanoes of the outer solar system”, pg. 138). 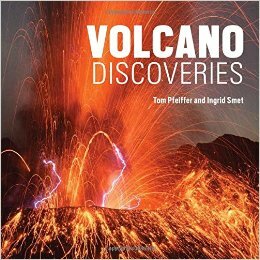 Hot or cold, big or small, on the earth or off it, volcanoes are fascinating things and this is an excellent introduction to what they do and why they do it. I didn’t realize it was as bad as that. Then again, I already knew that the Trotskyist gasbag China Miéville had been influenced by Lovecraft and had intensively interrogated issues around Lovecraft’s racism and xenophobia. Roger Luckhurst interrogates them too. After all, they’re a glaring flaw in an important and highly influential writer. How could HPL have been so egregiously wrong and in such an offensive way? Like J.G. Ballard, Lovecraft is often misread as lacking humour. In fact, like Ballard, he’s often very funny. This book is a joke he would have appreciated: there’s something blackly humorous about his posthumous elevation to hard covers and high-quality paper under the auspices of the Oxford University Press. His work is now getting more care than his body did: as Luckhurst notes in the introduction, HPL died of stomach cancer at 47 as “an unknown and unsuccessful pulp writer” (pg. xii). Is he better in a pulp paperback, with battered covers, yellowing paper and no notes? Yes, I think he is, but he’s best of all when he’s both paperback and hardback. I don’t like literary studies in their modern form, but Roger Luckhurst doesn’t slather HPL in jargon or suffocate the stories with notes. So the notes aren’t intrusive, but they are instructive – for example, about HPL’s modesty and self-doubt. Did he really think “At the Mountains of Madness” (1936) “displayed evidence of a ‘lack of general ability’ and a mind corrupted by ‘too much reading of pulp fiction’” (“Explanatory Notes”, pg. 470)? Then he was a giant who mistook himself for a pygmy. But that’s better than the reverse. Most of his greatness is collected here, from “The Call of Cthulhu” to “The Shadow Out of Time”, though I would have dropped “The Horror at Red Hook” and included “The Music of Erich Zann”. I would also like to drop China Miéville and include J.G. Ballard, but unfortunately HPL didn’t influence Ballard. I wish he had. Mutual influence would have been even better. 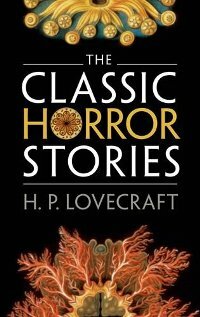 Nietzsche did influence Lovecraft and Lovecraft’s work can be read as, in part, an attempt to confront the death of God. Spirit departs the world; science invades. Where are wonder and horror to be found now? In “The Call of Cthulhu” or “At the Mountains of Madness”, stories that draw on astronomy, geology and biology to awe us with space, time and organic possibility. And Lovecraft, unlike Nietzsche or Ballard, recognized the importance of mathematics. That’s most evident here in “The Dreams in the Witch-House” (1933), which mixes trans-Euclidean geometry with ancient superstition. But maths isn’t the only influence on this story: so is M.P. Shiel’s novel The House of Sounds (1896). I didn’t know about that and I’m glad to have learnt it. That’s good scholarship, introducing readers to older authors and deeper influences. It still doesn’t feel right to read Lovecraft on clean white paper in a heavy book, but it’s good that he’s come up in the world. Let him bask in the sun before the Übermensch arrives. Opposite that description is one of the spectacular images: a satellite photo showing India colliding with Eurasia to throw up the crumpled band of the world’s highest mountains. The collision has taken place over millions of years, creating a patchwork of blue ocean, green and brown lowlands, and white mountains. Himalaya means “Snow-Abode” in Sanskrit, the ancient Indic language that inspired European scholars to discover the common roots of two linguistic outliers separated by thousands of miles and thousands of years: Icelandic, spoken on a cold island in the far north, and Bengali, spoken on a warm delta in the deep south. Mountaineering rose in Europe as religion declined. I don’t think that’s a coincidence. Divinity retreated and humanity advanced, climbing to new heights in all kinds of ways, from science to music. Vivaldi and Mozart didn’t write music to conquer mountains by; Beethoven and Wagner did. This spirit of adventure – or hubris – was European and the older idea that climbing a mountain is sacrilege has kept Europeans off the top of a mountain even more challenging than Everest: Kangchenjunga. The British mountaineers George Band and Joe Brown could have been the first, but refrained from climbing the last few yards to the very top: the leader of their expedition had “promised the Sikkimese authorities that they would not step onto the summit out of respect for Kangchenjunga’s status as a holy mountain” (ch. 8, “The ‘Golden Age’: 1953-1960”, pg. 147). That was in 1954. Forty-nine years earlier, in 1905, another Briton had made an attempt viâ the notorious “Yalung Glacier”. He became much better-known in other fields: mountaineering is not how Aleister Crowley (1875-1947) made his notorious name. But he confirmed his courage and daring in the Himalaya, having climbed extensively in the Alps, and fully deserves the sidebox he receives here as a “Mystic, poet, magician, pansexual and Satanist” (ch. 5, “The Opening Phase”, pg. 62). After all, he was “part of the first serious attempts on K2 and Kangchenjunga” and “identified the route that would eventually be used in the conquest of each mountain” (ibid.). “Eventually” is the operative word: Crowley and the expedition-leader Oscar Eckenstein shared an “iconoclastic contempt for the ‘stuffy’ Alpine Club”, but “once again, accomplished Alpine climbers” proved “unprepared for the scale of the Himalaya” (pg. 61). No-one had thought to use “supplemental oxygen” in the Alps, for example, but it began to seem essential in the Himalaya: “at the top of Mount Everest there is approximately one-third of the oxygen available at sea level” (pg. 63). There were debates about the propriety of its use, just as there had been about the use of crampons and other climbing aids in the Alps. One thing was a big argument in its favour: death. People have regularly died of altitude sickness in the Himalaya. Avalanches, rock-fall, cold and disease take an even heavier toll: four men died during Eckenstein’s and Crowley’s attempt on Kangchenjunga. The great Austrian Hermann Buhl (1924-1957) died in the Himalaya too. He had solo’d Nanga Parbat and was making an attempt on “the neighbouring peak of Chogolisa” when he and his companion Kurt Diemberger were forced to retreat by a storm “when only 305 metres (1,000 feet) below the summit” (ch. 8, pg. 131). During the ascent, Buhl “fell to his death through a cornice”. And yet Tilman was a “famously taciturn misogynist”: the psychology of mountaineers is another part of why mountaineering is so interesting. 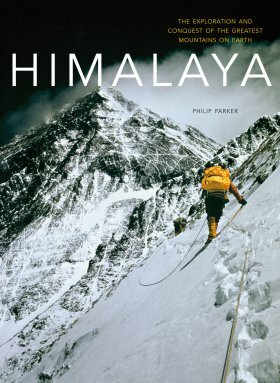 Mallory may have conquered Everest in 1926; Edmund Hillary and Tenzing Norgay definitely did in 1953, but Hillary didn’t ask Norgay to photograph him on the summit. The only photos of the moment are of the Nepali, not the New Zealander, apparently because Hillary didn’t want any taken of himself. Quixotry or modesty aside, it was an appropriate partnership: one by one, the Himalayan peaks have been conquered by combining European psychology with Nepali physiology. The environment of Europe has created human beings who want to climb very high mountains and the environment of Nepal has created human beings who can carry supplies in thin air. This book also covers the medicine of mountaineering: the effects on the human body of thin air and low temperatures. Nepalis are adapted to both: they’ve evolved the right kind of lungs and blood to live at high altitude. That’s why they were hired as porters by the unadapted outsiders from Europe, who were sometimes killed by the challenges they set themselves. But there’s another kind of biology in the Himalaya, and another mystery. Crowley was To Mega Therion, or “The Great Beast”. But does another great beast live in the Himalaya: the Yeti? Probably not: bears seem to explain all the stories, tracks and hair-samples. And the chances that there’s really something mysterious there dwindle by the year: Himalayan mountaineering is increasingly crowded, increasingly bereft of solitude and glamour. Everest is becoming strewn with rubbish, for example, and the climbing challenges of the Himalaya are increasingly contrived: not first ascents, but new routes, new methods, new times of the year. Sic Transit Gloria Montis – “So Passes the Glory of the Mountain”. 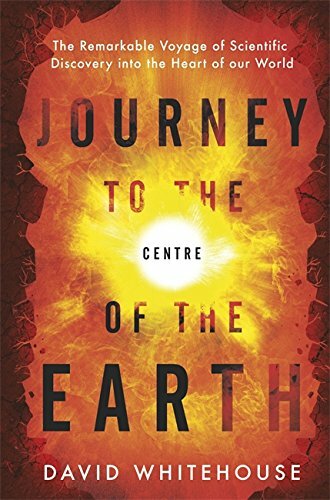 But this book explains that vanishing glory and opens a window on a fascinating region of the earth, describing history, humanity, geology and technology, and displaying everything from multi-coloured Tibetan script and glaring death-gods to awe-inspiring walls of sun-slanted ice-rock and Aleister Crowley outside a tent. Britain’s varied mountains are named in Britain’s varied languages: Welsh, English and Gaelic give different flavours to the landscapes they describe, from Carnedd Dafydd to Eskdale, from Ingleborough to Stuc a’ Chroin, from Ardnamurchan to Mynydd Mawr. But English names split into Norse and Anglo-Saxon, which have different flavours too. Underlying all these languages is a common ancestor, just as some very different rocks have common ancestors too. Heat, compression and erosion change rocks; time, separation and mutation change languages. So Turnbull is writing about two kinds of history as he discusses different parts of Britain: geological history and linguistic history. Geology is like cuisine in reverse: from the cooked dish you have to work out the recipe. Landscapes that seem inert can have cataclysmic pasts, full of fire and thunder or flood and frost. There are centuries of ingenious deduction and painstaking observation behind the chatty text and attractive photos in this book, but there are still mysteries to solve. More maths will be needed, because matter obeys mathematical rules in all its transformations, whether geological or culinary. And those material transformations have immaterial parallels in linguistics and sociology, where maths is the key to understanding too. And science itself has metamorphosed and mutated. 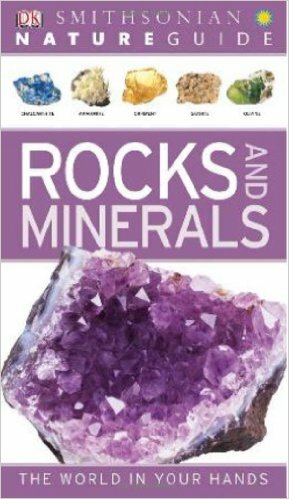 Geology is an important subject not just for its contemporary research but also for its influence on other fields. It made scientists realize the vast age of the earth. Charles Darwin used that idea to transform biology. 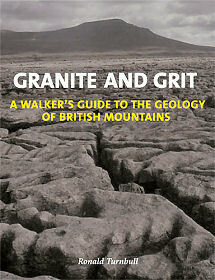 Like the pioneering geologists, he was British. That isn’t a coincidence and it’s something else that increases the power of this book. The planet starts here. So does the universe.